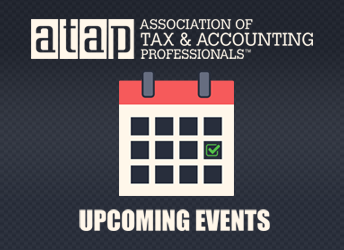 Through our strategic educational alliance with Knowledge Bureau, we are happy to continue the ATAP Webinar Series, designed to provide you the most up-to-date Continuing Educational and Professional Development opportunities available. As a result of strong interest by our members on Taxation and Family Care, our November webinar will be devoted to this topic. This session will provide the attendee with detailed information on assisting clients on the various medical options such as caregiver; infirm dependants; and medical expenses that can be claimed. With 2019 Taxation year just around the corner, this will assist you in looking for, and asking the right questions to your clients to ensure that they get the most of their medical and family care for their loved ones. Presented by ATAP in partnership with Knowledge Bureau.The webinar will be 1 hour in duration, and qualifies for both Knowledge Bureau and ATAP CPD Credits.